To show respect for Old Glory, flying at night requires illumination of the flag. 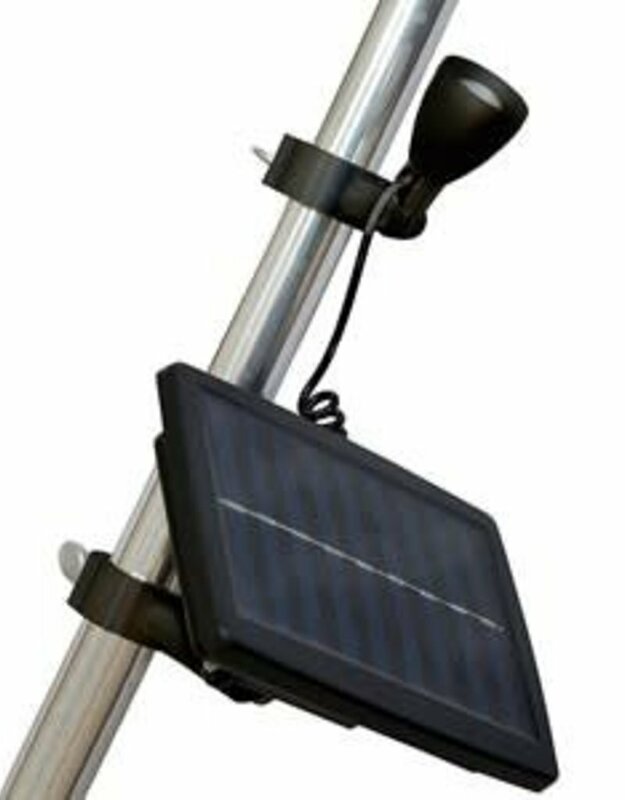 Durable design, solar panel uses the day's sunlight to power LED light to present flag with honor in evening hours. 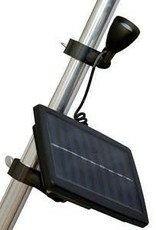 Product is fully adjustable to 1" or 1 1/4" flagpoles and will light up to 8 hours with a full charge. Purchased for the flag displayed on the outside of our house and it is perfect! Plenty of light for a small solar light. Great price and has held up great since it was purchased.